Here is the overview of the unit. I am not 100% happy with it, so if you have any ideas please chime in! The central idea seems clunky and wordy. I like the three lines of inquiry, as it opens a space for interdisciplinary inquiry (Society, Geography, History, and Science). Be brutal and honest. Here is the rubric I created. Not sure if I am on the right track. Is it too focused on things they know? Not concepts? Are they too big? Asking too much for a 6-week end of year unit? Feedback welcome and criticism encouraged! Here is a process that might help refine the unit. 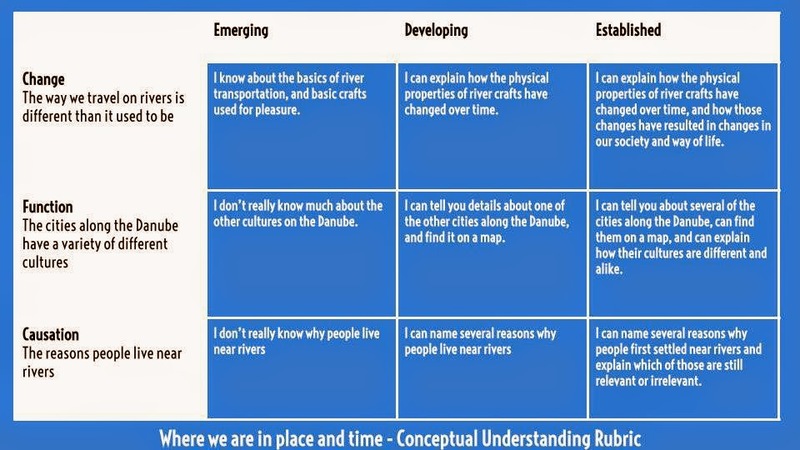 The Danube Rivers is a topic so the first thing that would be important to do is to find one or two high level conceptual understanding to frame the CI around. As this UOI is heavily social studies based, I would go to making the PYP happen SS section. First look at the five strands, choose the one or two strands which best fit the unit, then choose the best related concept before going back to rework the CI. I did a quick check and thought ‘Humans and their natural environments’ might be one good fit. A related concept under that strand might be ‘settlement’. Since it’s under the TT WWAIP&T, it makes sense to also choose the strand ‘Continuity and change through time’. History might be a related concept. I would avoid RC - civilizations unless you want to totally get rid of the current unit. There’s a sample civilizations unit in the Developing a TD POI manual in the sample POI. If you want a strong connection to science then you might make the second subject focus science. The Earth and Space stand might be a good fit. The related concept of systems might help fit might give a broader lense to look at aspects of the river and provide background knowledge. CI: Geography impact the development of human settlement. ^This would naturally bring out rivers as a source of water, transport, natural border, source food, trade among other reasons for settlement. I’m not sure about the third line of inquiry. You might need to go back to the CI and ask Lynn Erikson’s question, “So what?” What is enduring and worth knowing here? They would understand two important concepts, settlement and systems, which are worth knowing but what really pulls it all together into an enduring understanding? If that can be worked out, then it would be a solid unit. Having the broader conceptual lenses in the CI also opens up the scope of inquiry instead of being hemmed in by the lines of inquiry and specific places. 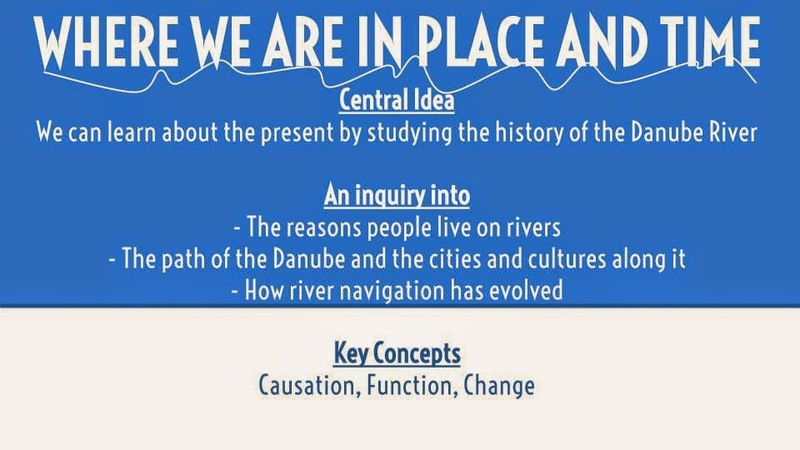 The Danube could be used as a topic to model the inquiry and how to use the concepts as lenses. Then students could choose their individual inquiries with a much broader scope. Just out of curiosity, is it the requirements of a national curriculum that is making it so topical? Hope the process of thinking through the unit is helpful even if the example I came up with isn’t. Thanks Trevor! Will go through this comment tonight with fine tooth comb and rework it. The school is still working on developing Units that are conceptual. It is still very topic based. Frustrating, but I am trying to take a wrecking ball to this one and starting all over. Will post the next version when it is ready.